Togme Sangpo Buddhist Group in North East Scotland aims to bring Buddhism into Scotland. You can participate in Buddhist meditation classes, short retreat, ongoing courses. They help you relax, find inner peace, discover your fullest potential, and develop qualities and attitudes which help with the challenges in life. 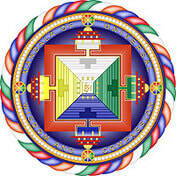 They help you to be more effective, to be of benefit to our surroundings, and even to all living beings! Discovering Buddhism is a basic study programme in 13 modules, devised by the Foundation for the Preservation of the Mahayana Tradition.